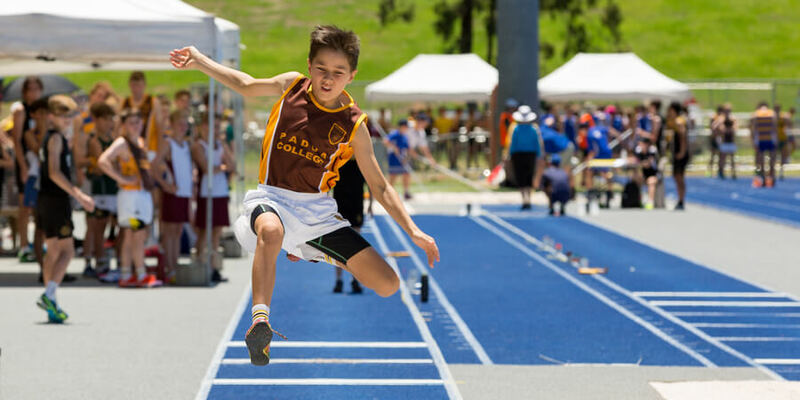 The School competes in the AIC competition, with the major carnival being the AIC Athletics Championships held annually at QSAC (Queensland Sport and Athletics Centre). A highlight of the school calendar, students from all AIC schools form a large crowd. Coaching is of high standard in all disciplines. National standard and highly experienced mentors specialise in all fields of endeavour with the athletes – several of whom develop to compete through regional, state and national level. Variation and cross training are encouraged, and this program develops a capability within to perform under pressure in all environments. The combination of sprint sessions, middle distance sessions and the strength and conditioning room all lead to success on the track and in the field. The athletics staff aim to give all students at our College the opportunity to develop their skills and abilities so that they can reach their potential. Regardless of the standard of the athlete, our program embraces any student wishing to compete in athletics with the aim of enjoyment, friendship and character development being at the forefront of our coaching philosophy. Athletics training formally begins in the middle of Term 3 and culminates in the Championships midway through Term 4.